This morning, a colleague asked me an interesting question, "You always come across as a very composed person. In all this time, I have never seen you become angry or disturbed about anything. I have to ask you a personal question. Have you ever experienced anguish? How have you dealt with it?" This is what I told her, "Our life is a series of experiences that can teach us a lot about ourselves and how we behave in an environment of constant uncertainties, often these are negative and not always in our control. I do my best to take every experience as a lesson to improve myself as a person and strengthen my faith in my God and Guru - Bhagawan Sri Sathya Sai Baba. To answer your question, yes - I have my experienced deep anguish, not jus once or twice, but throughout the different phases of my life. What I have observed is that the more I evolve spiritually, the tougher and more painful the tests become. That stops me from completely losing my sense over the problems that come my way. Then my colleague asked me another personal question but I will share it in another post. 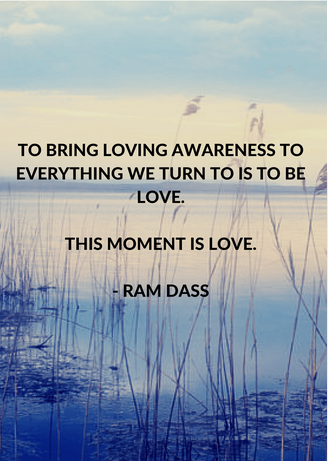 All I want to say is this: When we see every experience from a state of love, we bring loving awareness to it. We see a bigger, better and happier perspective. We become divine and true to what we were always meant to be. When things get so tough that you can't bear the anguish tumbling out of you, remind yourself gently, "This too shall pass. This moment and experience is Love."